Rotherham MPs Sir Kevin Barron and John Healey have made a full submission to the Secretary of State for Transport asking for the HS2 route through South Yorkshire to return to the previously chosen Meadowhall route. 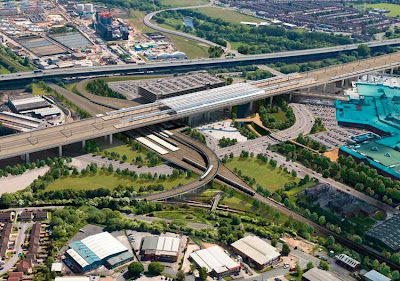 The Government is minded to approve a new proposed route between Birmingham and Leeds that proposes that HS2 services between London and Sheffield would take a spur off the new north-south high speed line and travel directly to the existing Sheffield Midland station using the existing railway line. The HS2 line to Leeds that would travel east of Rotherham following the M1 and M18 before heading through the Dearne Valley. South Yorkshire MPs whose constituencies are affected by the changes have made it clear that they believe that the M18 route is not in the best interests of the region. The arguments against the new route in the submission follow on from those raised during a debate in the House of Commons that put forward that it is worse than the Meadowhall route for equity, connectivity, capacity and journey times. A joint statement from the MPs said: "It is clear that by every test the new M18 spur route is not in the best interests of the South Yorkshire region. "The new route will result in slower journey times, fewer, smaller trains and will not provide the economic benefits to the wider region in comparison to the previous Meadowhall option." Strong objections have also been submitted to the official consultations from local authorities, including Rotherham Council. The submission from the MPs concludes: "As supporters of the HS2 project, who believe in the necessity of improving our national infrastructure, we are disappointed by a route recommendation that has limited ambitions for the whole of the South Yorkshire region and which will not realise the benefits that HS2 could provide or do early enough to help tackle the inequalities we face. "We must not miss the opportunity that HS2 could bring to invigorate the South Yorkshire region, to grow our economies, to better connect us and allow the region to share in the prosperity that the project can bring."